"Good experience. Great service from everyone involved." Make stressful deliveries a thing of the past, thanks to Motorparks and our amazing selection of new Vauxhall Vivaro vans. Upon first glimpse of the Vauxhall Vivaro van, you will be taken aback by how much space is provided to you in the vehicle’s storage compartment. The inclusion of 2.0CDTi Euro 5 engines also ensures you can get from A to B in rapid fashion, while certain models in our range below will catch the eye thanks to their 16-inch alloy wheels and body-colour rear light units. 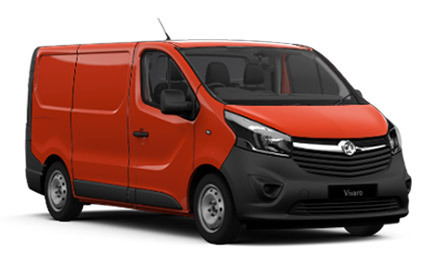 Have a browse through all of our new Vauxhall Vivaro vans for sale below and make an enquiry about any that appeal to you online now. Don’t forget that you can book a test drive of the Vivaro online too, which will take place at either our Doves Vauxhall Southampton dealership or our County Motor Works garage.